The E28 5-Series is not the most collectible BMW ever built and while it’s by no means rare, daily-driven examples are becoming an uncommon sight. The 1987 528e pictured below is owned by a friend who has been using it as his regular form of transportation since 2005. The 528e has needed nothing but regular maintenance in nearly ten years of daily service. The odometer is getting close to 250,000 miles and the owner laments that parts are literally starting to fall off of it but he’s committed to keeping it on the road as long as it is economically feasible to do so. The owner tells us that the most complicated part about using the 528e daily is finding affordable parts because the tide of junked e28s in self-service yards has started to recede and OEM spares ordered from a BMW dealership are often prohibitively expensive. In spite of its age and mileage, the 121-horsepower straight-six engine runs strong and it does not burn an excessive amount of oil, a true testament to the build quality of 1980s BMWs. 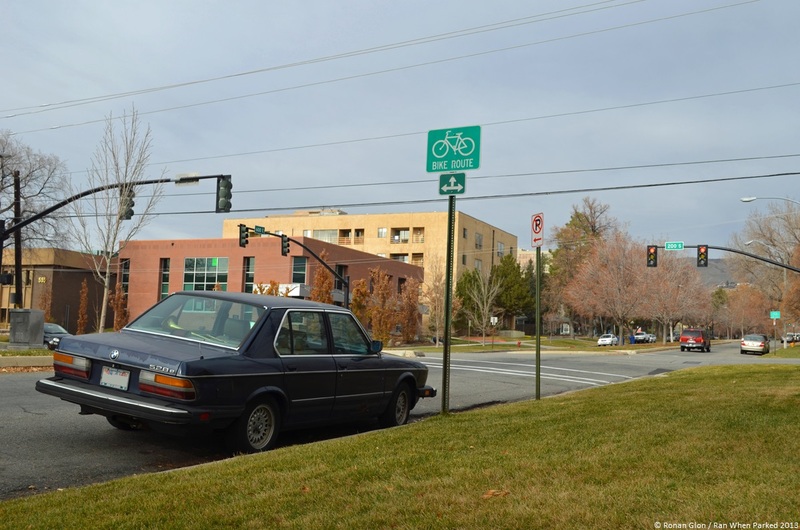 Reliability aside, this E28’s saving grace is that it has remained relatively rust free in spite of enduring harsh Utah winters for over a quarter of a century. The body is in sound shape except for a minor rust spot on the front passenger-side door and some minor dings and dents all around. The story is different on the inside, where the seats are a little worse for the wear. Although it has its fair share of blemishes, this 528e has aged gracefully and it continues to perfectly embody the angular design language that defined the BMW lineup for several decades. The owner is a musician. Alternate answer: He feels the car needs a louder horn. great cars, I had an 88 528 5-speed when I sold it, it was pushing 350,000 miles all I every had do other than regular maintenance was a clutch and a alternator!!!!!!! !